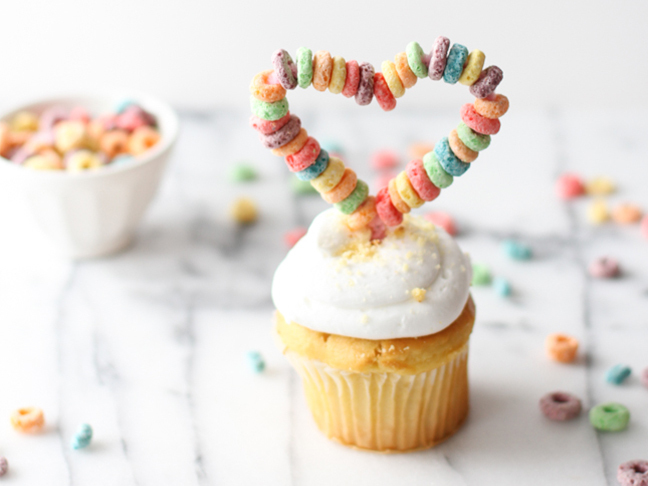 My niece loves helping me make these DIY cupcake toppers. 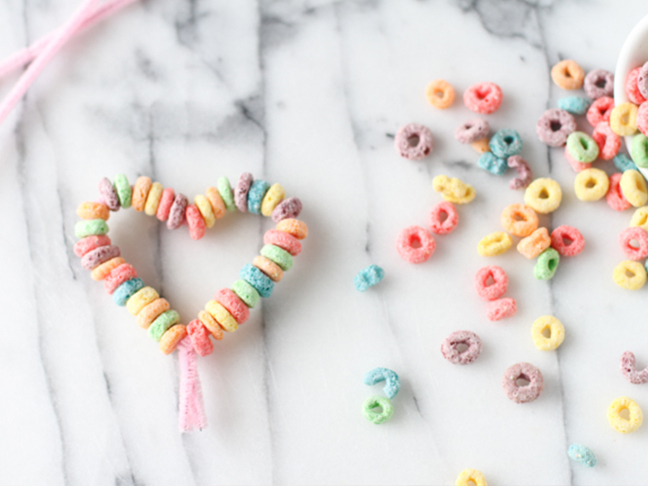 She strings the Froot Loops onto pipe cleaners and together we decide what shapes we want to form them into. 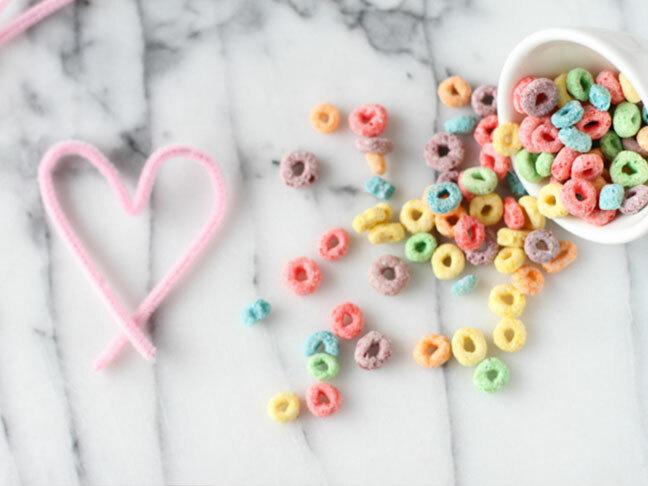 It’s hearts for Valentine’s Day, of course! 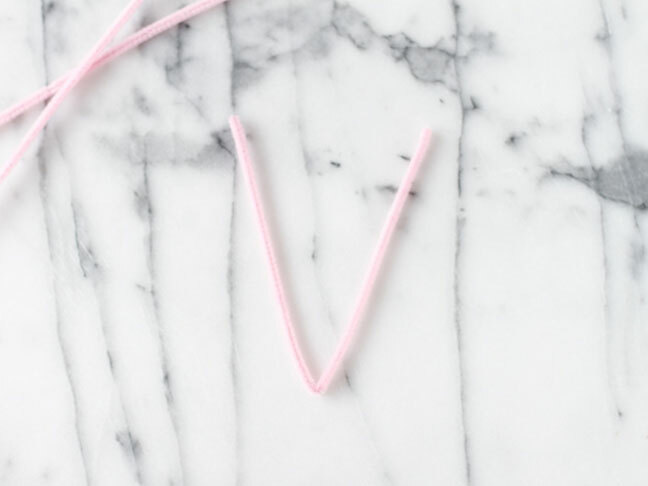 This is a DIY project that’s perfect for toddlers or preschoolers to help out with—it comes together quickly, so no one (you included) will lose patience with it. Step 1: Find the halfway point of your pipe cleaner and bend in half, with both ends pointing upward (like the photo above). Step 2: Next, create the heart shape by holding the center point with one hand and shaping each side of the heart with the other hand. 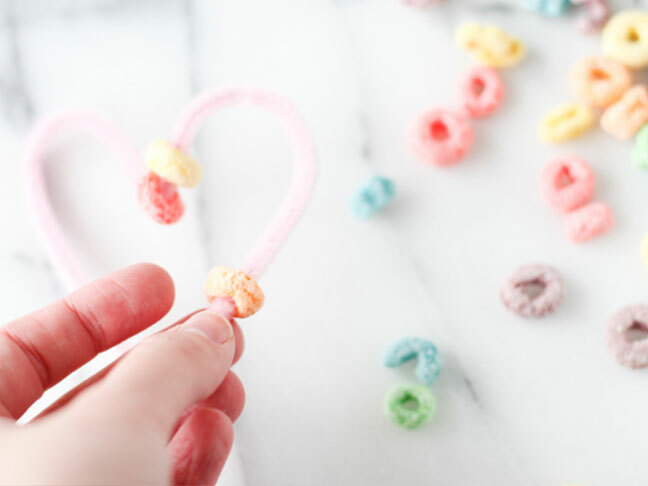 Pipe cleaners bend very easily, so this won’t be difficult at all. Step 3: Now for the fun part! 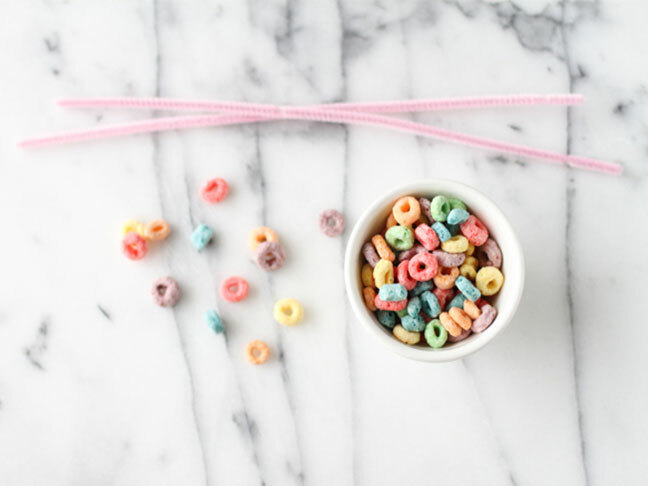 Begin threading Fruit Loops through the bottom of each end of the pipe cleaner. 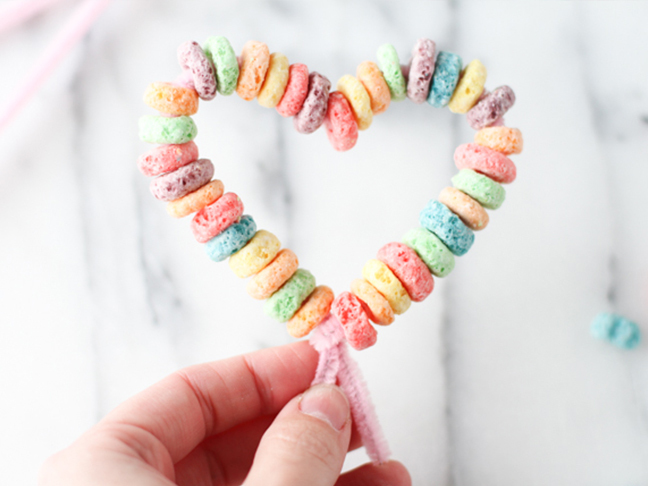 Fill each side of the heart with cereal, keeping the last 1–2 inches bare (at the bottom). 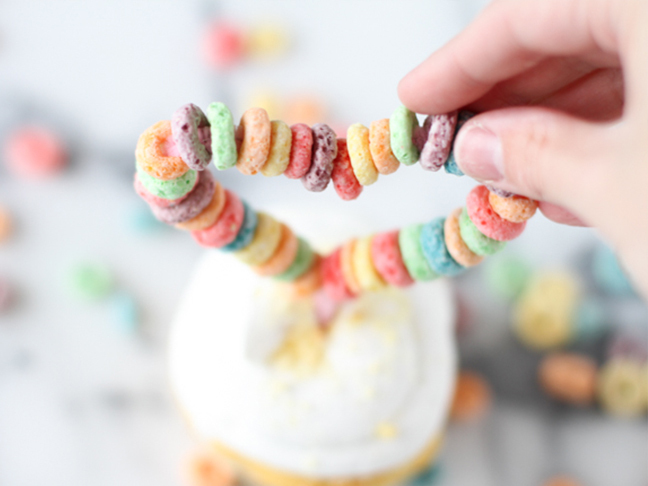 Step 4: Twist the uncovered pipe cleaner at the bottom together several times to secure the heart shape and create a short pick to stick into the cupcakes. Step 5: Finally, top cupcakes with the finished hearts and enjoy. 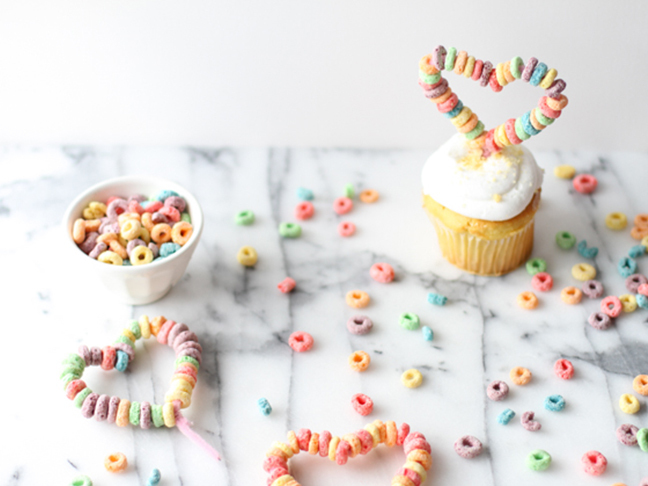 Kids can strip the cereal from the pipe cleaners and eat the Fruit Loops when they’re done eating their cupcakes. Fun, easy, and delicious. 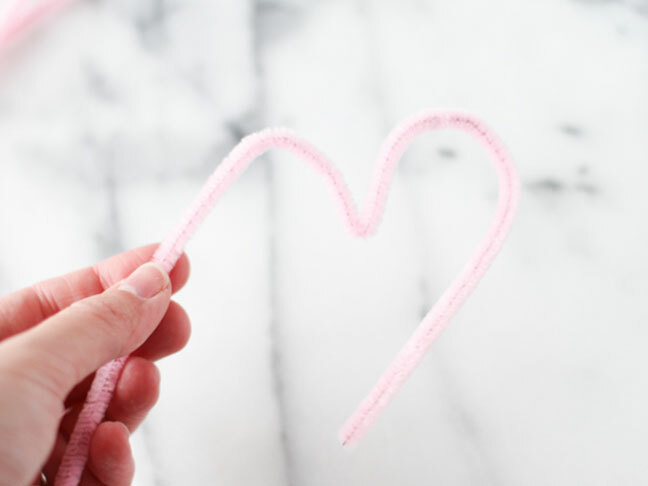 Bonus: After V-Day is over, adapt this idea to other holidays and shapes as well, like eggs for Easter or candy canes for Christmas (like these from Sheri Silver). 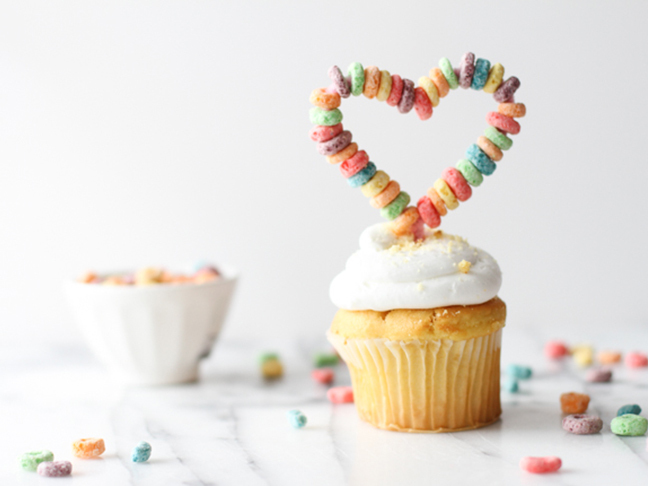 You can even turn it into a family tradition, making new cereal cupcake toppers with your kids for every holiday of the year.